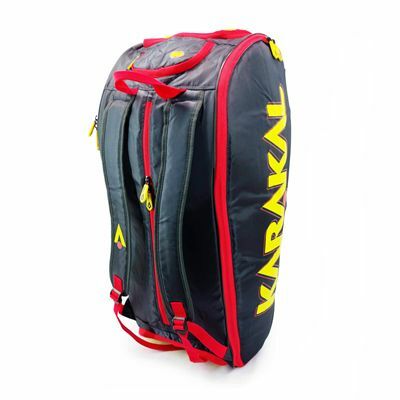 The Karakal Pro Tour Elite is a stylish, spacious 12 racket bag with an eye-catching design. 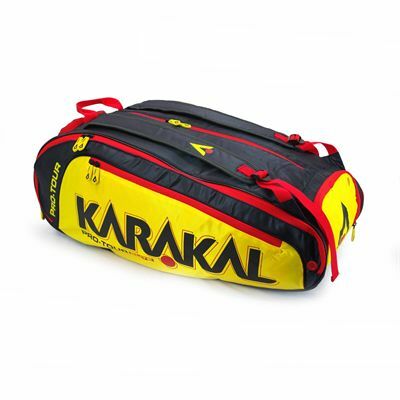 It offers plenty of room for your apparel, rackets and accessories thanks to a large main compartment and 2 racket compartments. 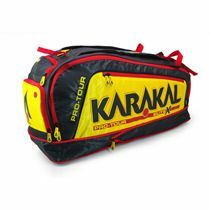 To separate dirty clothes and footwear from the rest of your gear, there are special wet clothing and shoe compartments and the bag has breather buttons for improved ventilation and a great air flow. 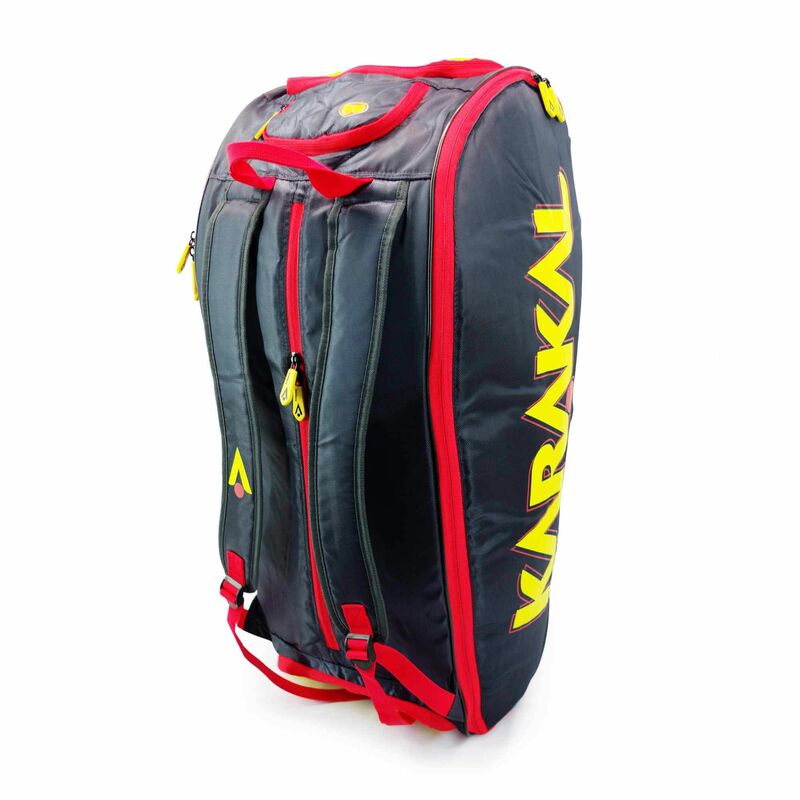 There is also a zipped, soft pocket for your goggles and to comfortably carry your belongings to and from the court, the bag features padded, adjustable backpack straps and a carry handle. 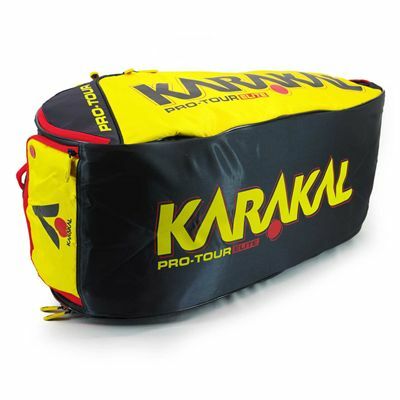 Made from lightweight, yet sturdy 420d jacquard polyester, the Pro Tour Elite guarantees long-lasting durability. 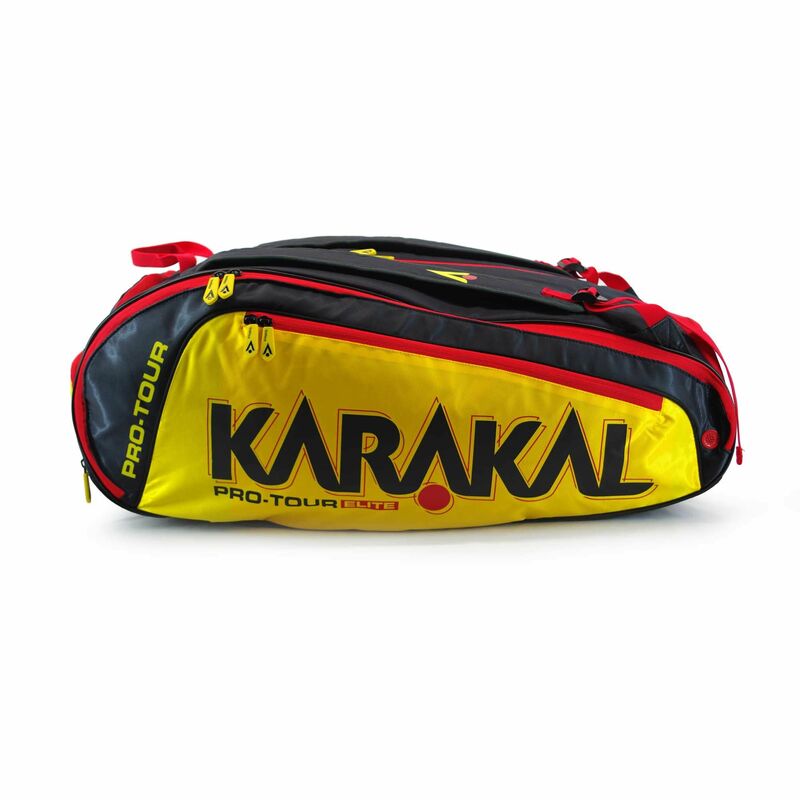 for submitting product information about Karakal Pro Tour Elite 12 Racket Bag We aim to answer all questions within 2-3 days. 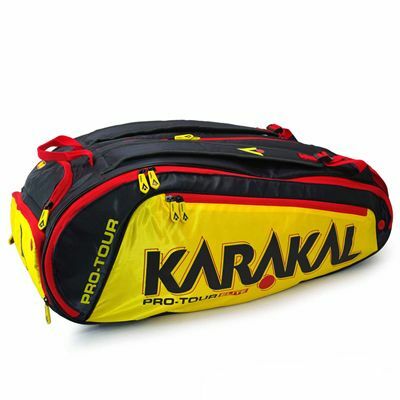 for submitting product information about Karakal Pro Tour Elite 12 Racket Bag. We aim to answer all questions within 2-3 days. If you provided your name and email address, we will email you as soon as the answer is published. Very large bag. 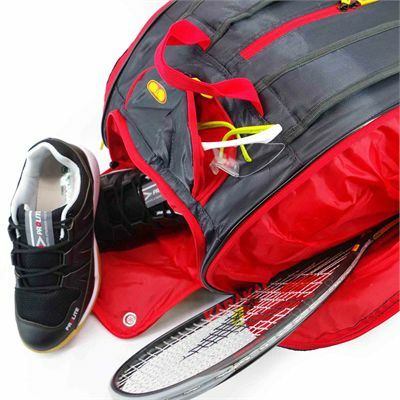 Lots of compartments. Decent price. for submitting product review about Karakal Pro Tour Elite 12 Racket Bag.